Our theme has advanced options for different type of Product Filters. You can filter products by categories, price, brands, tags, vendors and attributes. You can have ajaxed filtering, adoptive filters, good mobile presets, filters in popups and step filters. Before you start filter configuration, you should add global attributes to your site. 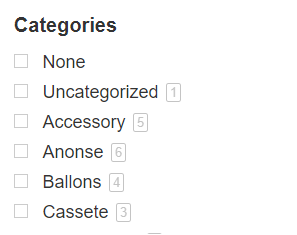 This is required if you want to add special filters, specifications for each category of your site. If you don’t want to add filters and just need Category filters – you can use Rehub: Better Category widget. If you want to use our advanced filters, go to Rehub – Plugins and download Advanced Product Filter Plugin, then install it. Plugin has good documentation but we will explain some tips and tricks for plugin. First of all, don’t worry about so much settings in plugin. 95% are made for very rare situations and you can leave them as default. 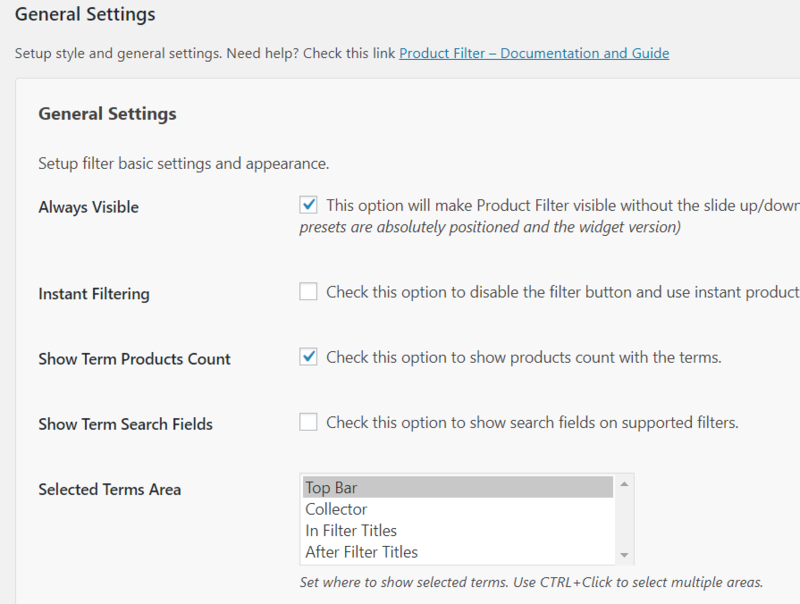 After plugin installation, go to Woocommerce – Settings – Product Filter. On first tab, you can create presets. Each preset can be used in different part of site. It means that you can create different filter forms with different design. Also, you must create and save default preset. 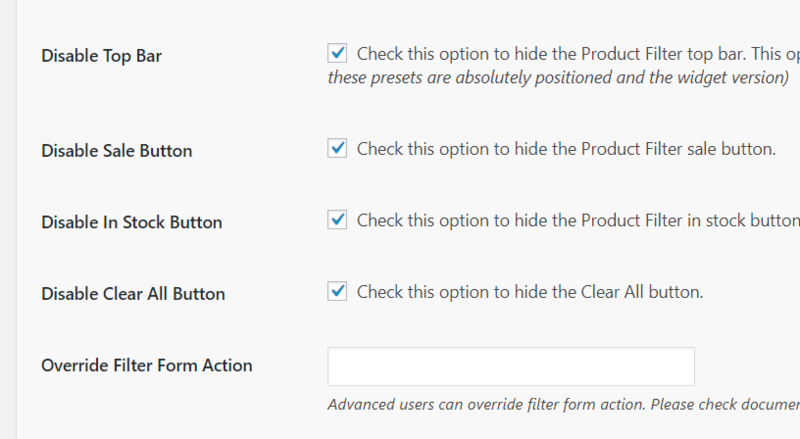 Plugin will create first filter preset by default which will have Price, Sorting and categories. Then, you can add additional elements. Once you click on filter, it will be activated. Then, you can add some changes, for example another titles, special conditions and styling. In styling, you can change colors of labels, borders, label text and style of filters. Some filters have also advanced settings (Cog icon). Usually, you can change tooltip labels, order of each range, set ranges, etc. Once you create filters, you can save them as preset or as default filters. In general settings we have some useful options. It’s another cool feature of plugin. This option will enable such logic than each next set of filters will be visible only when user make choice for previous filter. In previous step we made styles for each filter item, general filter styles are responsible how filters will appear on page. Default is inline style, but you can also choose several styles. Also you can enable Sidebar Sliding style and Overlay style. All of them are very cool and modern. This option allows you to show another filter preset for Mobiles. Also, instead of using automatic filters for shop pages, you can enable Widgets. In this case, your filters can be added as widget in Appearance – Widgets – Woocommerce Shop sidebar. This has one negative side. 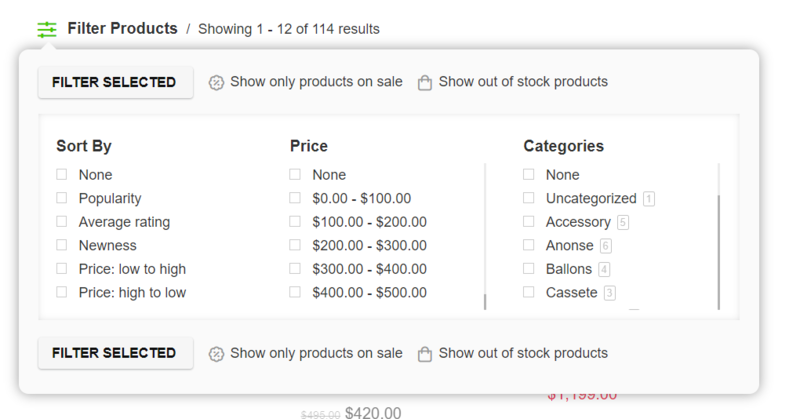 Widgets on shop pages are visible after content on mobiles, so, your users will not see filter options in first screen, so, usually they miss them. Rehub theme stores some specific fields to post which you can also choose for filtering. In style options you can enable to show filters as Text style and Background type, so, they will look similar to tabs. If you want to have similar select boxes which we added for Recompare Home page, your steps must be next. Create filters like we explained in previous steps. 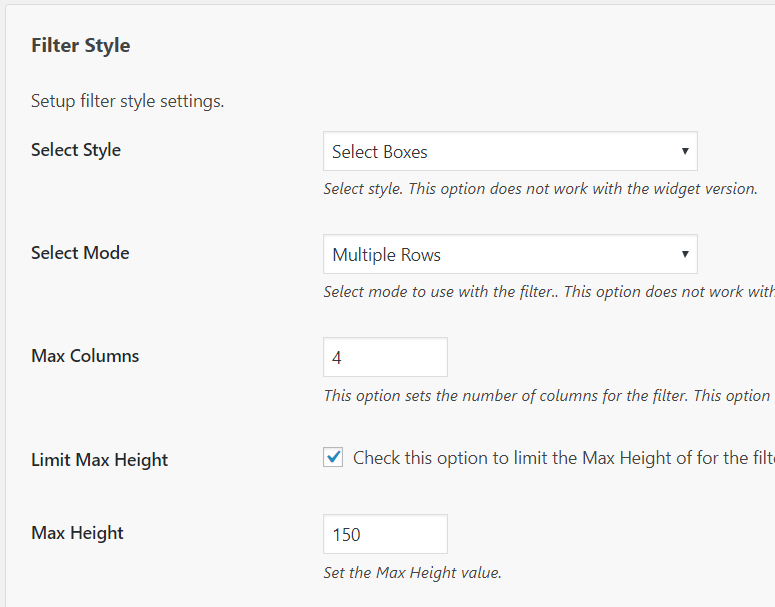 You can use 3-4 filters which is better number of columns.